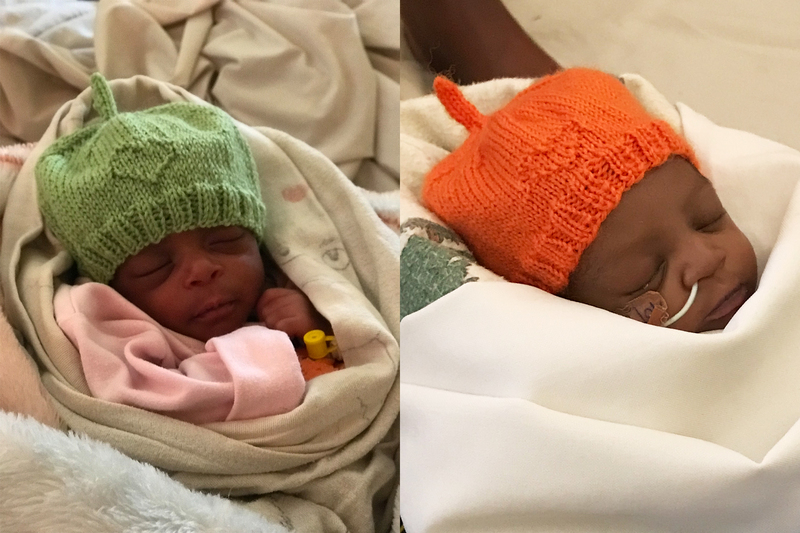 Homemade hats are finding their way from knitters in Maryland, California and Norway to dozens of babies in Africa in a gesture to save newborn lives. From Ethiopia to Rwanda to Tanzania, the 50,000 Happy Birthdays knitting campaign is not just about adorable fashion statements — these pint-sized hats play a practical role in keeping newborns warm. Even in the hotter climates of Africa, babies need to retain their warmth right after birth to stay healthy and thrive. This is especially true for small and premature babies. 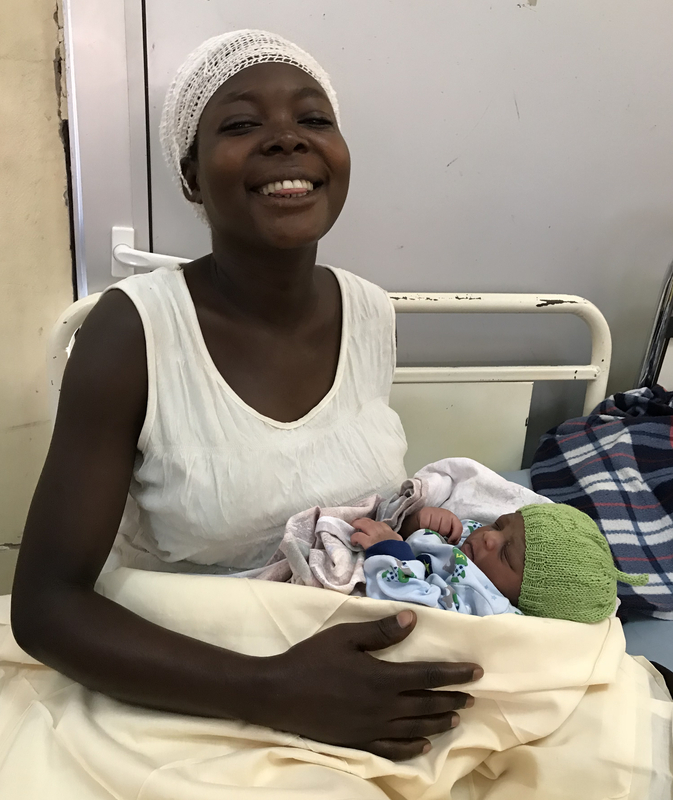 Each knitted hat given to a newborn marks a successful and happy “birth” day for both mom and the midwife who attended her. The 50,000 Happy Birthdays initiative — led by the International Confederation of Midwives and supported by Jhpiego — empowers midwives with the skills they need to provide expert, lifesaving care on the day of birth. More than 100,000 midwives, nurses and other providers in over 50 countries across the globe have participated in hands-on, simulation-based trainings that address complications at birth, including severe bleeding, hypertension and newborn asphyxia. In low-resource areas, an estimated 300,000 mothers and 2.7 million newborns die every year. More playfully, the initiative encourages YOU to get involved by knitting a hat for a newborn’s day of birth! Dr. Cherrie Evans, Jhpiego’s director of the Helping Mothers Survive program, was thrilled to deliver hats made in California to Rwandan moms to celebrate their newborns’ day of birth. Evans was accompanied by Rosemary Kamunya, a veteran midwife from Kenya, and Anna af Ugglas of Laerdal Global Health. “Together, we had the pleasure of giving over 50 hats to mothers and their newborns. These babies included those in the postpartum ward but also tiny preemies in the kangaroo mother care ward. As I knitter myself, it was so rewarding to put hats on those beautiful babies!” she said. With a ready-made pattern, you can knock out a hat in no time and send it to Cherrie Evans at Jhpiego for delivery! It’s a small gift to inaugurate a lifetime of happy birthdays. Learn more about the campaign here: https://laerdalglobalhealth.com/partnerships-and-programs/50000-happy-birthdays/. Visit us at www.helpingmotherssurvive.org and https://www.jhpiego.org/. 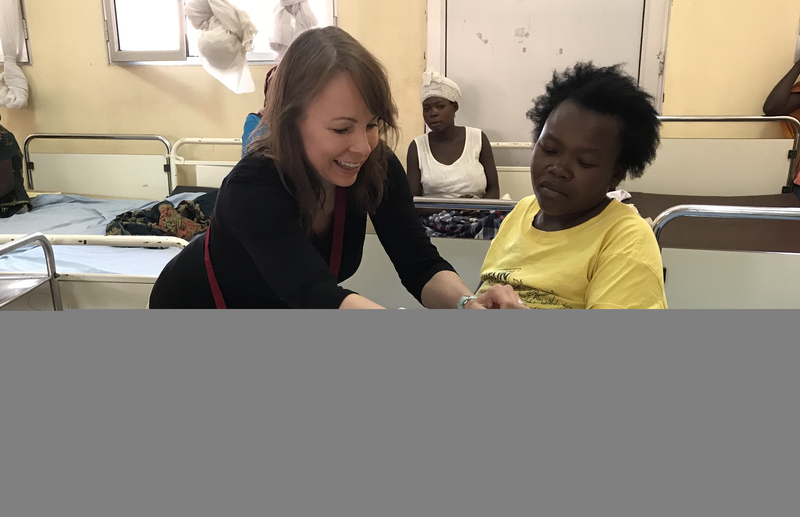 Juliana Allen is a Communications Specialist at Jhpiego. With experience in photography, design and community relations, she works on a broad array of external communications and leads Jhpiego’s social media efforts.